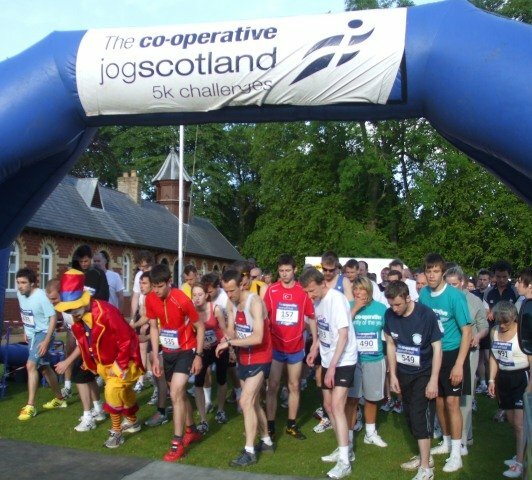 The Co-operative jogscotland 5k challenges kicked off for 2009 in Aberdeenshire on Tuesday 16th June, and specialists Team Challenge Company was there in full force, with one team member prepared to go a little further than most...! 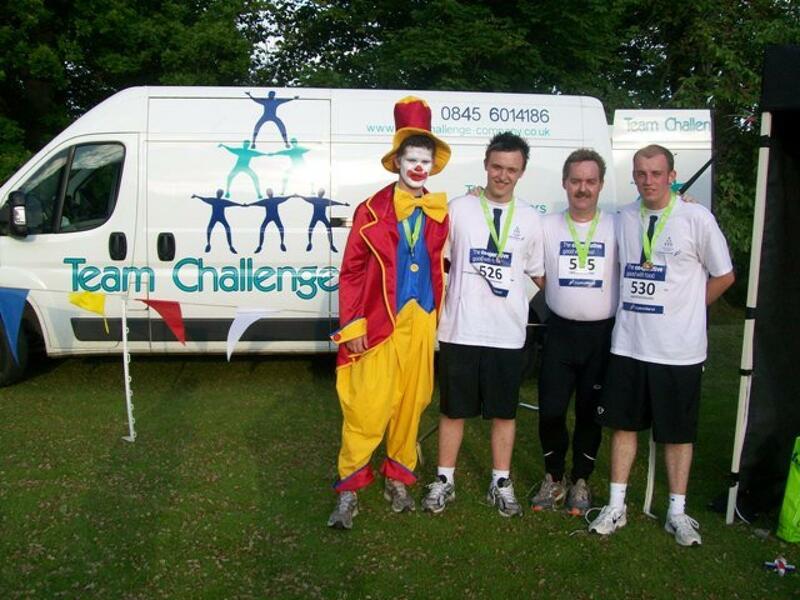 Team Challenge Company's very own Dozer the Clown was set to take on the first 5k challenge of this year in the stunning surroundings of Haddo Country Park. 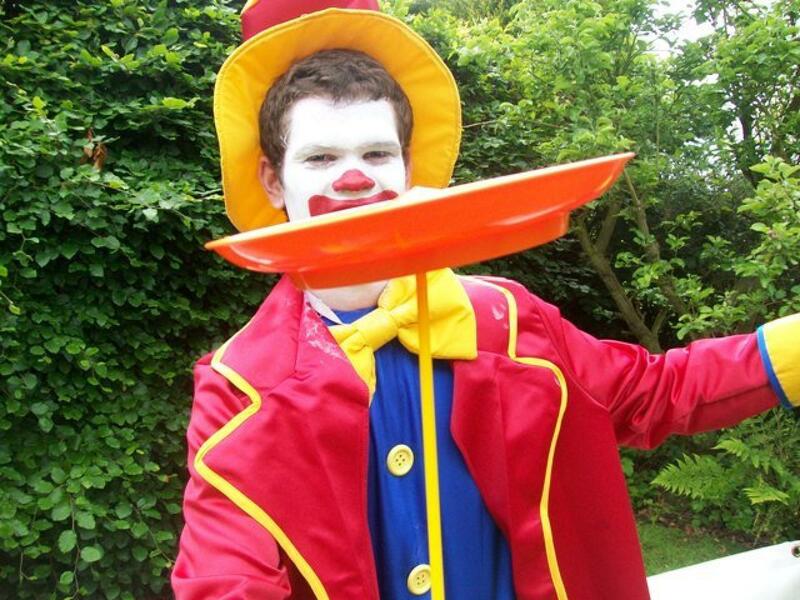 Arriving in his full clown attire, Dozer entertained the masses with his fantastic Juggling tricks and Plate Spinning skills, before wowing the crowds with his trademark Diablo Finale! Dozer's brightly coloured clown smile masked his nerves, for he was about to take on his biggest challenge yet - all five kilometers of it! The fabulously friendly jogscotland atmosphere inspired the crowds of runners who had come along in eager anticpation to Haddo Country Park. Around 500 atheletes of all experience and abilities warmed up at the start line to some pumping tunes - trust our crew to be right up at the front giving it everything they had! 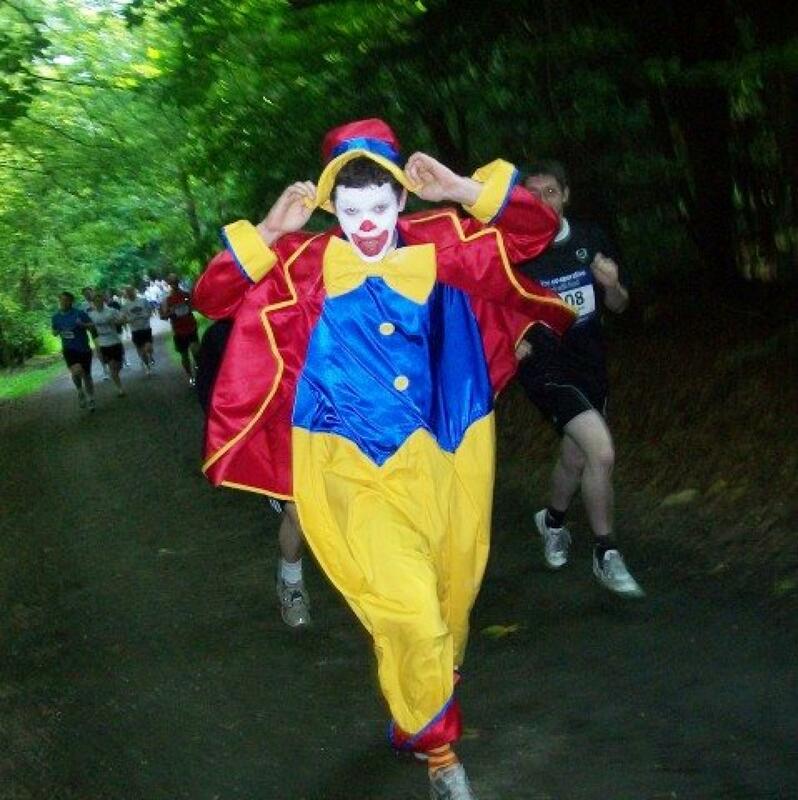 With nerves subsidding and adrenaline taking over, the echoing sound of a hooter marked the beginning of the first leg of this years Co-operative jogscotland 5k Challenges.Dozer the Clown bounded round the course in a lightning quick fashion - which included a bit of a hill (to say the least)! 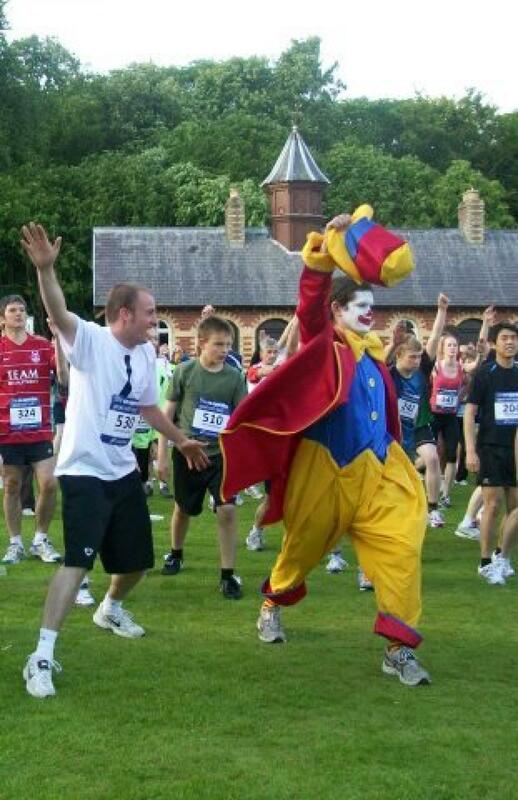 The winning athlete completed the course in a stunning 16 minutes, but Dozer the Clown held his Clown Hat proudly aloft as he crossed the finish line in a remarkable 25 minutes - great job Dozer, we all knew you could do it, what a way to end a tremendous run! A very well organisned event, and I was proud to be part of the CO-OP team from Aboyne. I was even prouder to beat the mighty JON BON from team challenge crew. Looking forward to the next race.